University admission tests and open competitive exams in a location designed for the future. Your future. It covers a surface area of 400 m2. The hall holds 183 seats and has an area reserved for the Hall Administrator/Exam panel/Lecturer. 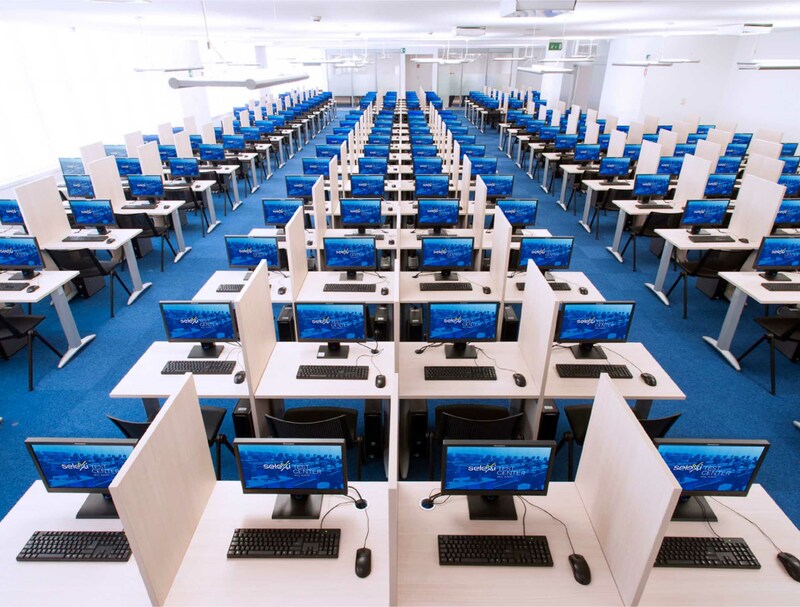 Each station is equipped with its own single desk, a chair, a PC (Windows OS) and is isolated from the others by 1.35 m high side panelling.